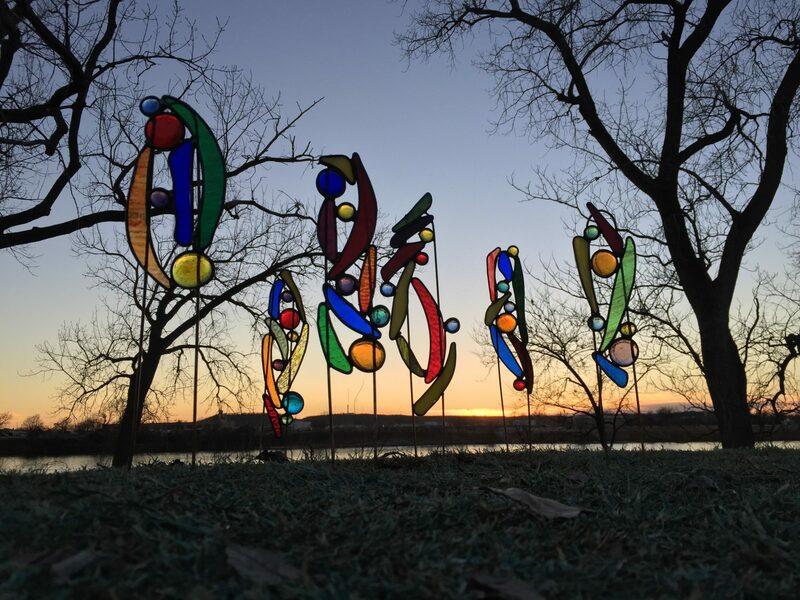 Highly versatile, Garden Spirit Sculptures are beautiful works of art easily created by the beginner stained glass craftsman. With color and shapes, there is an endless combination to make each a unique work of art. Sculptures can be as big or as small as you wish, and you can rearrange or add to them in the future. Whether you’re a homeowner wanting a complement to your garden, or a landscape architect or interior designer on the hunt for unique property accents, Garden Spirit Sculptures are the perfect way to achieve your vision and reconnect with nature. Choose your favorite color combinations to display your personal style, to complement your garden in each season, or to show your support for your favorite sports team. Design your favorite style of Garden Spirit to invoke the feeling you want in your space. Each Garden Spirit component is built using the same materials and processes used to build authentic leaded stained glass windows that have withstood the tests of time and the elements for hundreds of years. With the metal surrounding each color, it is not recommended for installation around edible plants. When making a sculpture, wear an apron, work clean and wash hands after working. Colors will never fade. The open design of each Garden Spirit lets the wind blow through them, so they are not likely to blow over or go sailing in a strong breeze. Garden Spirit Sculptures can be installed outside in flower pots or lawns; they can be installed inside in a flower pot or as a free-standing art piece on a base.